Trenerry Property Group Director Robert DiCintio is a retail, mixed use and residential property specialist who has been involved in numerous developments over the past 25 years. His key experience was gained during 13 years with Bensons Property Group, Lend Lease, GPT, and four years with retailers including Autobarn, My Size and House. combined area yielded some 187,000 sqm of GLA, with 800 tenancies producing approximately $1.0 billion of sales. As National Property Manager, Robert assisted Autobarn with its expansion along the eastern states of Australia from approximately 60 stores to nearly 110 stores. 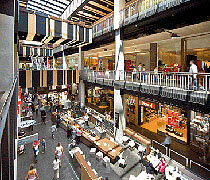 In 2006, a singular success was his master retail plan, leasing strategy and project leasing campaign for the $265 million redevelopment of Melbourne Central involving 58,000 sqm and 315 tenancies over 10 levels. 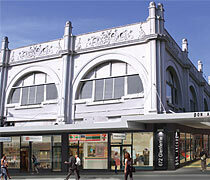 Robert then joined Bensons Property Group to establish and drive the growth of the Bensons Retail Strip Property Fund. Under his direction, the fund grew to more than $135 million with prime property located along the eastern states of Australia. Completion of in excess of 20 acquisitions totalling approx $135m over the past four years in the inner metropolitan areas of Melbourne, Cairns and Sydney. Trenerry Property Group offers a development feasibility model and acquisition system which has evolved over 10 years. Divestment marketing strategies including targeting off shore buyers. Expertise in the retail planning and project leasing of retail strip locations and shopping centres worth more than $1 billion. Lease negotiations involving hundreds of retail premises and offices for both landlord and tenant. Development management in key capacities involving more than $1billion of property. Master plan, retail plan and project leasing of $265 million re-development of Melbourne Central. Master plan and project leasing of $100m redevelopment.